We are official media partners with The Landscape Show in September and will have copies of the publication at the event. The Landscape Show provides the ideal platform for organisations to showcase leading trend products, new services, key skills as well as being the perfect environment for visitors to discover the newest and most innovative products and solutions to help them in their designs and projects. Small, focused, fun and perfectly formed, the LANDSCAPE show is built in the image of the team which organises it. We are Official Media Partners with Saltex in November and there will be copies of our publication at the event. We are official media partners with the Ideal Home Show in March and will have copies of the publication at the event. 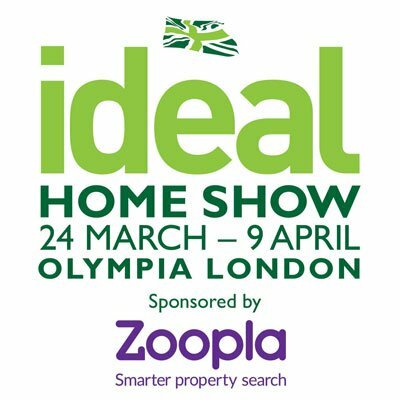 Ideal Home Show is Britain’s iconic and best loved consumer event which continues to be the leading home show brand in the UK and delivers an unparalleled audience of over 240,000 (ABC audited) potential buyers! We are official media partners with Grand Designs Live in April and will have copies of the publication at the event. Grand Designs Live, proudly sponsored by Anglian Home Improvements, returned to London’s ExCeL from the 29th April – 7th May 2017. Running for 9 days, the show offered visitors a unique opportunity to see all the latest trends for the home as well as many products never seen before.